We cannot control an individual's daily life choices about right and wrong. But we can show evidence of how much he or she knows about right and wrong. To this end, Ethics Solutions® offers you a range of personal data and assessment results. Each individual and organization has their own unique set of needs for data. The Individual's Report is the simplest of the three. The individual has a basic knowledge of ethics necessary to get by in the workplace and in one's personal life. 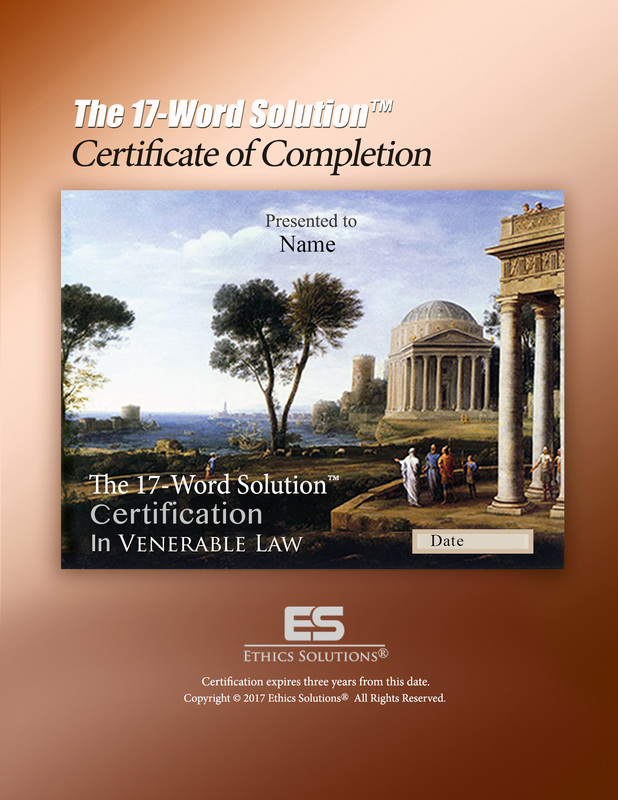 Ethics Solutions® believes a score of 70% is significantly better than the understanding of the general public. Means skilled at ethical thinking. Ethics Solutions believes a score of 80% indicates a higher knowledge of ethics necessary to be successful in the workplace and in one's personal life. We believe this level to be far better than the understanding of the general public. Unusually skilled at ethical thinking. Ethics Solutions believes 90% means the person has a vastly higher knowledge of ethics than that of the general public, and probably has a huge advantage over others in the workplace and personal life. 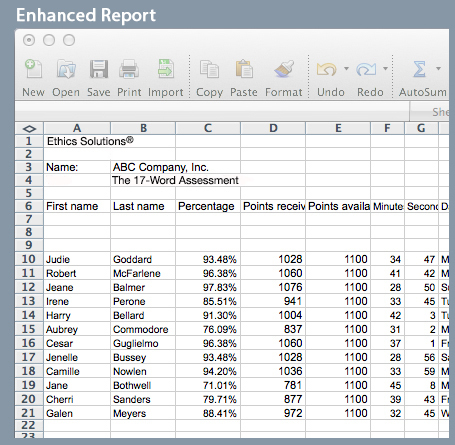 The Enhanced Report is an Excel spreadsheet for the manager or leader of a group. The spreadsheet is a download sent by email to the manager, at an extra charge of $29.95 per download. The Enhanced Report is ordered with a phone call to Ethics Solutions. The report is a compilation of all the data in the manager's reports for each assessment taken, listed by name.